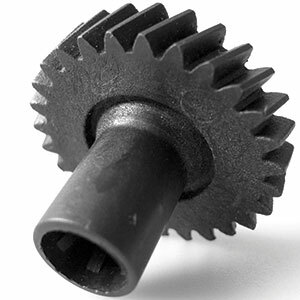 Acetal (POM) polymers are semi-crystalline. They offer excellent inherent lubricity, fatigue resistance, and chemical resistance. Acetals suffer from outgassing problems at elevated temperatures, and are brittle at low temperatures. Glass filled, and added lubrication grades are available, flame retardant grades are not. 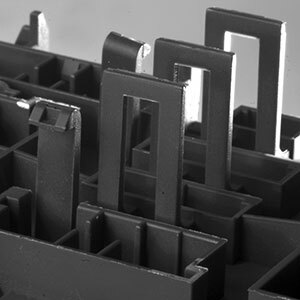 4POM® is the registered trade name for Acetal (POM) compounds produced by 4PLAS. 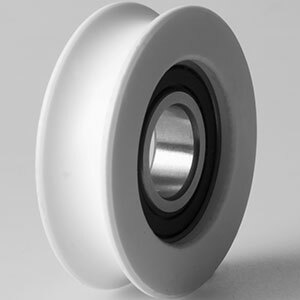 We offer a wide range of Acetal compounds including standard ex-stock grades, short lead time custom compound and colour solutions and high performance compounds. 4POM® grades are supplied in pellet form and packed in moisture proof 25kg bags. Other forms of packaging such as octabins and big-bags are also available. 4POM® has low moisture absorption and under normal conditions can be processed straight from the bag. However materials stored in open packs or containers should be dried at 100°C to 120°C for a minimum of 3 to 6 hours. 4POM® compounds can be processed on all commercial injection moulding machinery. It is necessary to have precise temperature control for processing Acetals. The temperature of the nozzle is also very important in order to avoid thermal loss or overheating. Regrind levels up to 20% can be used depending on the application and requirements. Regrind should be free of contamination, should not be thermally degraded and must be dry as moulded, or be dried prior to reuse. Under normal conditions 4POM® is not a toxic or hazardous material. During processing preventative action should be taken to avoid direct contact with the polymer melt or inhalation of any gases produced. Processing temperatures above 240°C should be avoided. Detailed safety information can be found in our material safety data sheets (MSDS).